I remember when you first implemented the rule about neckguards. It was right after the game on February 10, 2008, when Richard Zedník, then with the Florida Panthers, had his throat cut by the skate of then-teammate Olli Jokinen. I recognize that neckguards are mandatory in the QMJHL but, I will admit, I found that the rule was unnecessary in the OHL. For that matter, I think that they are even irrelevant in the QMJHL, too. (Ironically, Zedník is a graduate of the WHL, the only one of the three CHL member leagues not to have such a rule implemented.) Injuries like that are rare and I do readily admit that just because something is rare does not mean that it does not happen. Think about it, though. Many skate blade injuries involve cuts to legs and wrists, not throats. Neckguards do not cover the whole throat either; there are still some parts of the throat uncovered, such as an area that exposes the external jugular vein and both the internal and external carotid arteries. Not even a calendar year later, you implemented a new rule that had players keep their helmets on during fights after the death of Don Sanderson. There is no denying that Sanderson’s death was a tragedy. I do, however, think that keeping helmets on during fights can propagate more injuries than fights without them on. A player can hurt his hands quite severely, especially if he misses a part of his combatant’s face and punches the helmet’s shell or the visor. The visor itself can even prove as a hazard; a single punch can cause it to cave inward and cut a player’s forehead, nose or eye. While on the topic of equipment, I was quite shocked to see Brandon Maxwell wearing a cat-eye mask during this past season. I have been told that his mask was NHL-regulation; I, however, do not see what makes that justifiable in the OHL. If Maxwell was indeed allowed to wear it, why were there no other goalies who did? Personally, I am not fond of cat-eye masks, especially in junior hockey. I have a lot of friends in Europe who swear by them, especially since they feel that a cage would obscure their vision, and it is quite alarming to them when they see that a goalie in a Canadian major junior league is allowed to wear one. That even gets more complicated when they realize that European import goalies do not even wear them. I do not know why anyone approached the equipment managers of either the Sarnia Sting or the Mississauga St. Michael’s Majors to tell them that Maxwell’s cat-eye mask was the only one in the league; he wore one when he was with the Kitchener Rangers so what makes it okay for him to be the sole goaltender able to wear a cat-eye this past season? One reason why I do not like cat-eye masks is because of an injury sustained by a friend of mine in Sweden whose caging caved in after a puck hit his mask and cut his eyebrow. Luckily, it did not enter his eye and blind him. Am I being overcautious? Perhaps. I do, however, would not like to see any calamity based on equipment that may or may not be regulatory. Mr. Commissioner, let me please return to the topic of fighting for a moment, if I may. When I heard that you were contemplating the elimination of it from the OHL, I had to laugh. Just like in the NHL, there are many players who have acquired roster spots on their teams because of their truculence; some people may feel that to be problematic, players with more fists and less finesse taking roster spots away from others who have more offensive skills. With the amount of elite players in the OHL, though, what happens if one of these budding superstars gets hit viciously from behind, is injured and none of his teammates can do anything to vent their frustrations? I do not think that the league is ready for something like that, especially with the amount of concussions in hockey today. The NHL is not ready, so the OHL surely will not be until then, if not later. I know that there are some who believe that fighting in junior hockey will trickle down to lower leagues. That may be true but there is no arguing that a player needs to learn how to defend himself even from a young age. As well, no one ever said that hockey fights were solely rooted in players hurting each other? Most of the time, the players are not planning on injuring one another. To add, there is one player in the OHL who is the most vocal about keeping fighting in the league. Who is that player? Was it Ty Bilcke? No. Derek Mathers? Nope. Johnny McGuire? Nada. It was… Sean Monahan. The emerging offensive star for the Ottawa 67’s, who is the OHL’s top prospect for the 2013 NHL Entry Draft, went on record saying that the elimination of fighting “would ruin the game if it were banned.” Remarkably, this comes from a player who has only one fighting major to his credit so far in two major junior seasons. 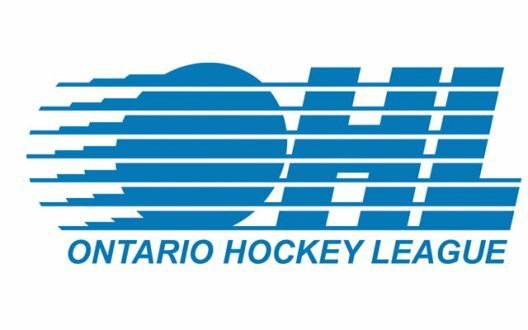 If you do wish to heed to your word and eliminate fighting in the OHL, it does not, however, hinder the likelihood of the prevalence of concussions. Concussions in the OHL, like in the NHL, affect everyone and — just as in the top professional league — superstars are felled quite often. In early January of this year, Peterborough Petes forward and Ottawa Senators first-round draft pick Matt Puempel suffered a concussion in a game against Kingston after he was elbowed in the head by Frontenacs defenceman Alex Gudbranson. 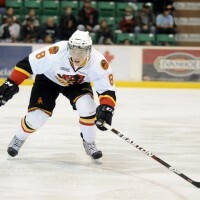 The hit, which gave Gudbranson a ten-game suspension, took Puempel out of action for the remainder of the 2011-12 season; in addition, he had to leave the Peterborough Memorial Centre during that game in an ambulance. For someone of your influence, it must have worried you immensely to know that the captain of one of your teams had to be taken to the hospital in such a way, especially with such intense aftereffects. Believe me, Mr. Commissioner, it is not only superstars who are afflicted by such injuries. You just have to look at the recent retirement of Belleville Bulls forward Braeden Corbeth. Here is a young man who came into the OHL trying to make a name for himself but he did, albeit not in the way he envisioned. He had five concussions in the last two years, including two this past season alone. After only 111 career games, and only two in the 2011-12 season, Corbeth had to hang up his skates. It was a hard decision but it is only illustrative of how concussions are even a major concern in the OHL. I know that it must bother you to know that a 19-year-old hockey player in your league had to stop playing at such a young age. Studies have shown that there is a link to a serious degenerative disease called chronic traumatic encephalopathy and multiple concussions; I can only pray that Corbeth does not develop it later in life… especially since it is only after someone dies when it is detected. In mentioning the suspension to Gudbranson earlier, it also brings up the subject of suspensions. I believe that there is a negative paradigm shift in rationale for suspension in the OHL. There have been incidents where the amount of games out of the lineup has been justified but, conversely, there have been some when it has not. For example, a slash to the stomach of Nick Cousins by Ryan Rupert got five games; a blindside hit he landed on Nathan Cull a couple months later, though, did not get any. I recognize that repeat offenders do get stiffer penalties than first-time offenders but, for the most part, I believe that there should be parity in discipline relating to such cases, such as headshots and stick infractions. There have also been suspensions for incidents involving racial slurs something that seemed to be quite prevalent this season. One such occurrence involved Windsor Spitfires blueliner Brandon Devlin, who was given a five-game ban after a transgression of the league’s diversity policy in January after a game against the Guelph Storm. Surprisingly, Storm player Andrey Pedan was exonerated of such an allegation after he was accused of taunting London Knights forward Andreas Athanasiou with a derogatory comment. The league office claimed that there was not enough sufficient evidence to warrant a suspension of the New York Islanders draft pick. I do, however, have to wonder what that means. The Devlin incident and the alleged Pedan-Athanasiou exchange makes me wonder about the diversity policy in the OHL. Racial slurs and homosexual taunts are not uncommon but, if you are implementing a diversity policy, there should be equal punishment for everyone who is found of transgression. The “n-word” and the “f-word” (the one that rhymes with ‘maggot,’ not the one that rhymes with ‘duck’) are both very hurtful and they have no place in today’s society. As a league that does not only wish to cultivate hockey players, but also young men who are expected to be gentlemen off the ice, the discipline should be enforced in such a way that it is a deterrent against any further happenings. This is not a hockey issue; it is a social issue. Players in the OHL need to feel included, not rejected. Mr. Commissioner, I do have to make one point about players who also need to feel included. Those players are imports. In the OHL, unlike the other CHL member leagues, imports are sometimes overlooked. There have not been many who have worn letters for OHL teams, which seems ludicrous considering the incredible leadership many possess. In addition, I feel that the acquisition of imports can sometimes be a pecuniary issue; teams with more money to spend can acquire players in the deeper parts of the talent pool. That being said, though, I do have a proposition. I would like to see three imports per team. Let me explain my rationale. It is not only because of the nearly 180 former imports who have graduated to play at least one game in the NHL. It is, however, another rule of three. Every OHL team allows three rookies from their draft class, three overagers and… two imports?! The advantage of having three import players per team is twofold: it allows for more of them to be considered North American prospects and they can fill a roster spot that would have been given to a North American-born player who opted not to report. (These days, that seems to be more commonplace.) Could this change if a former import — and former OHL captain — wins the Calder Memorial Trophy? It could happen. At this time, I would also like to remind you that there is one former import who is not getting his due in the OHL’s annual Official Guide and Record Book. This may not be your jurisdiction but I thought, since I am putting everything out there, I should bring it to your attention. In 2006-07, Sergei Kostitsyn, who was with the London Knights at the time, recorded 91 assists, which broke the team’s franchise record of 89 set nearly 25 years before by Dennis Ververgaert. To this day, five years after Kostitsyn set the record, the book has yet to change it. I have emailed the Knights telling them about this error and, remarkably, they have never changed it. That brings up another point. 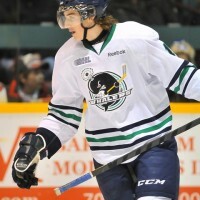 I would love to see there be an import player of the year award in the OHL. Imports in the OHL do not win awards often enough and it would be a nice gesture. I would like to see it named after either Štefan Blaho, the former Sudbury Wolves and Sarnia Sting forward who died in a car accident on August 29, 2006, or Josef Vašíček, a former NHL player who spent two years with the Sault Ste. Marie Greyhounds — including one as team captain — who was killed in the Lokomotiv Yaroslavl’ plane crash on September 7, 2011. In addition to an import player of the year award, I would love to see an award much like the Masterton Trophy in the NHL. There have been several inspirational stories to come out of the OHL in recent memory but, especially this past season, no one would deserve it more than Ben Fanelli of the Kitchener Rangers. Everyone knows about the horrific injury that he suffered on October 30, 2009, in his rookie season against the Erie Otters. After over a year recovering from a fractured skull and facial fractures, which included rehabilitation and training, Fanelli returned to the Rangers lineup in September 2011 to the delight of his coaches, teammates and fans. He finished the season with 15 points (four goals, 11 assists) in 67 games; he also was +19. If that does not spell inspirational, I don’t know what does. 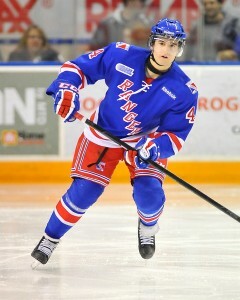 I can only wish that the OHL can recognize him, and similar players who have overcome the odds, with their own award. In conclusion, Mr. Commissioner, I would like to say that it is not that I am critical of any of your practices. I just find that there are some discrepancies and issues that need to be addressed. As a fan of the league, I enjoy exploiting its advantages. It is just that, at times, there are things that I feel need to be rectified to make it even better than it is. I feel better now that I have gotten these grievances off my chest. My fingers no longer need to be withheld from typing them and my tongue will not have any more teeth marks from me biting it.